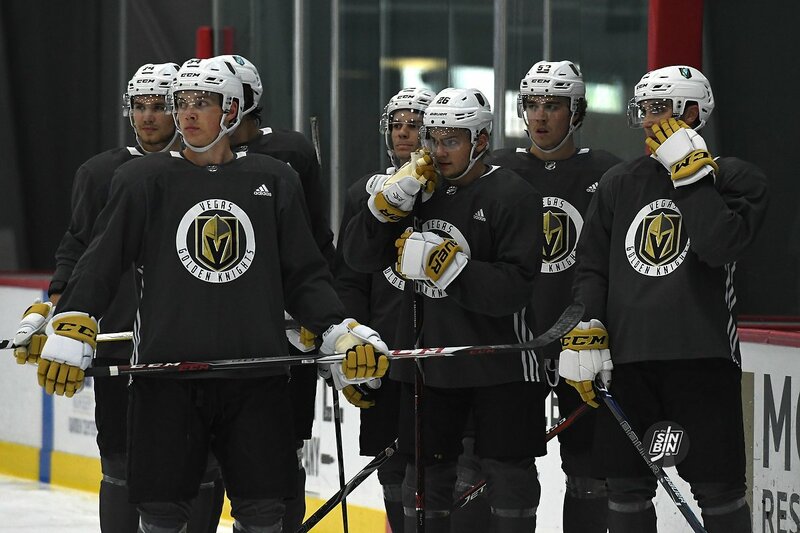 There’s a lot to talk about after the first of three Golden Knights rookie games. When that happens, we tend to take the easy route and just chuck them all in one article using bullet points. So, here are 13 bullet points, one for every goal scored in the Golden Knights 7-6 win. Erik Brannstrom is incredible. This isn’t new, but every time this guy steps on the ice he’s excellent. Tonight he tamed back a bit of his aggressiveness yet still found ways to make a bunch of offensive plays including a dandy of a goal. The first period was a perfect example of a team playing “Golden Knights” style hockey. Incredibly fast in transition, pushing the puck out of the defensive zone quickly, and capitalizing on mistakes. It did in the rookie game what the Golden Knights did to many teams last year, overwhelm the opponent. Hence the five-goal lead after 20 minutes. Coach Thompson says they started to cheat out of the system a bit and that’s why the lead evaporated. The founder of the world’s foremost authority on logos in sports, Chris Creamer of SportsLogos.net joined me on KXNT NewsTalk 840 AM to talk about the Golden Knights name, logos, colors, and more. Finally, a few names have hit the US Patent and Trademark database and one is likely the final name selected for the Las Vegas hockey team name. This is the major step we’ve been waiting for as there’s no way for an NHL organization to print and sell anything without a trademark. Otherwise, SinBin.vegas would be printing Silver Knights stuff left and right and raking in the cash. Trademarks are a much larger indication of the possible team name than domain names, which can be purchased after the fact… or not purchased at all. Plus, trademarks cannot be hidden as they must be registered by the business name planning on using them, while domains can be purchased by anyone and transferred.